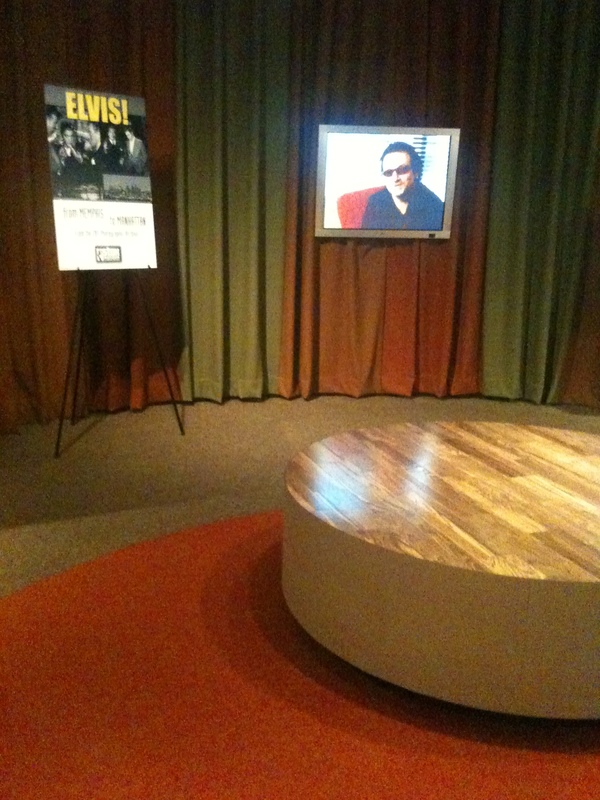 I went to the opening reception for the Elvis: Memphis to Manhattan exhibit at Stax Museum. 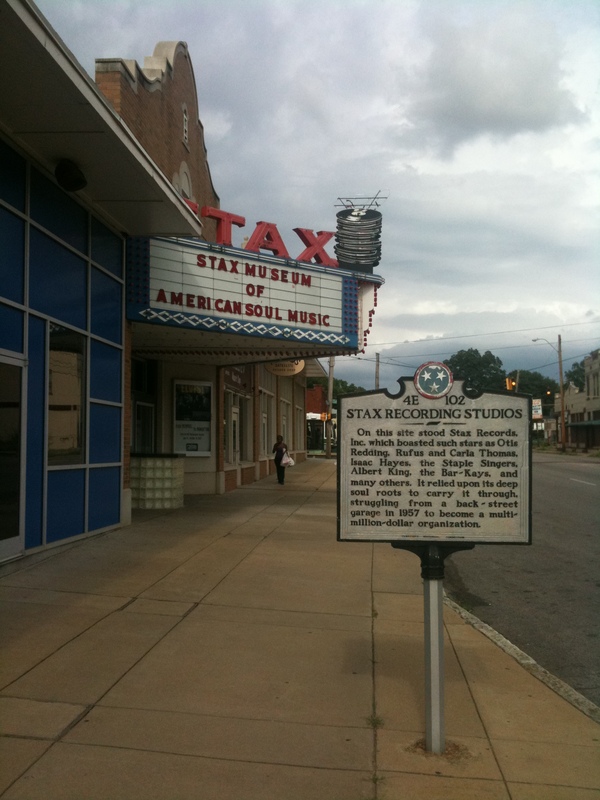 Stax was the birthplace of Soul. 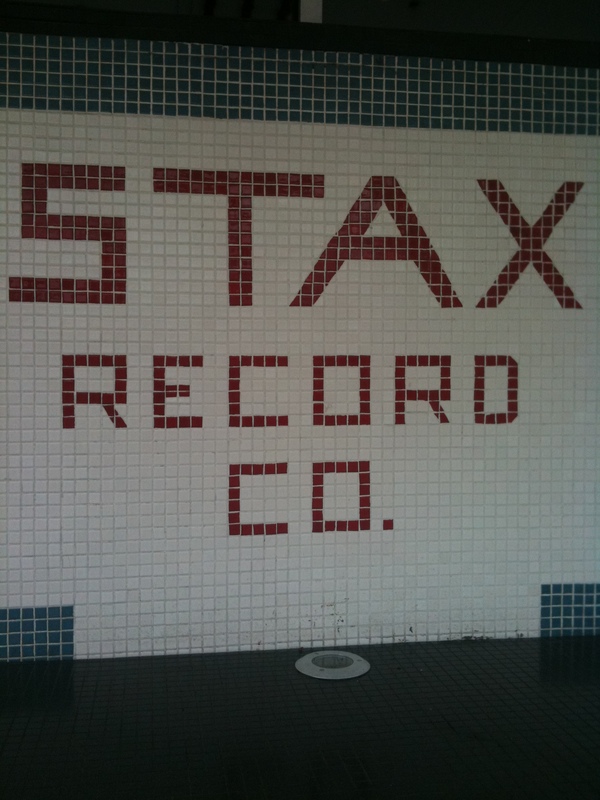 Everyone recorded here: Otis Redding, Aretha Franklin, Isaac Hayes, and yes even Elvis Presley. 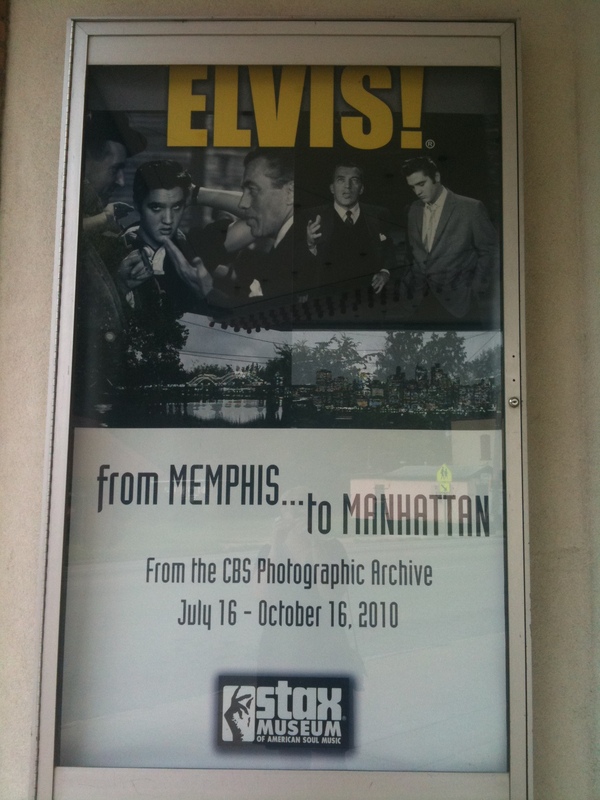 Elvis: from Memphis to Manhattan is a photography exhibit from Elvis’ appearances on CBS in 1956, mainly the Ed Sullivan Show. Many never before seen gorgeous black and white photographs of Elvis at the beginning of his career. It was a great 2 room exhibit. 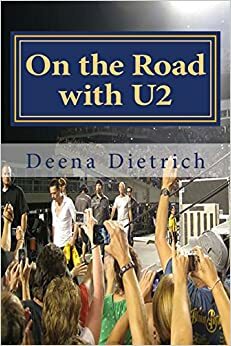 A cool moment for me was when I was admiring the Elvis photographs then heard Bono talking. 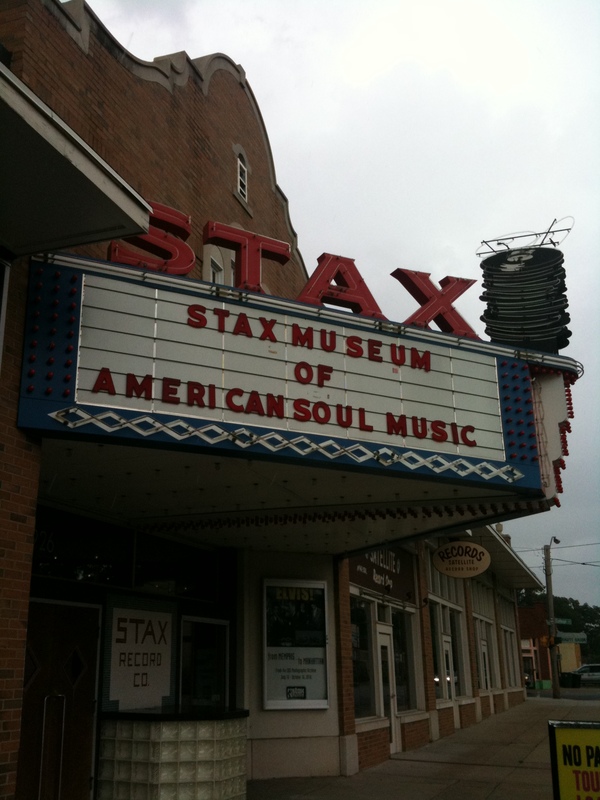 He was on the video talking about Memphis and Stax and Sun Studio. Worlds colliding. Love it! Maybe you should have hung around a little longer at the reception to see WHO showed up! You KNOW musicians are all nocturnal people. 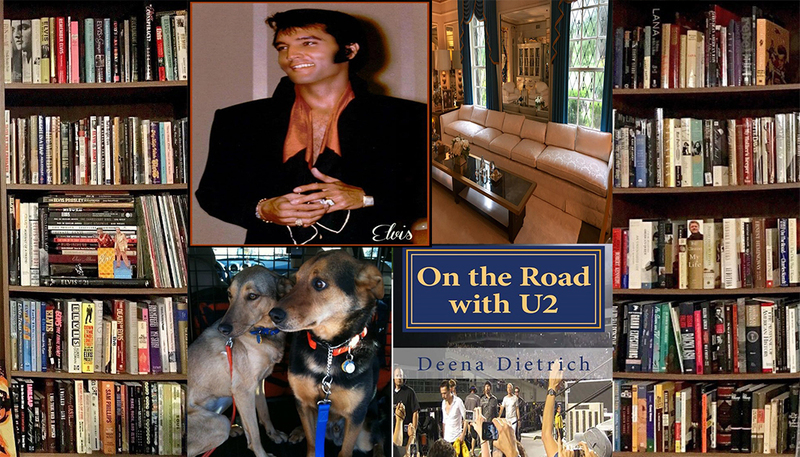 Marcie and I are planning to visit while I’m there for Elvis Week.